Cast Coated Adhesive Paper is very high gloss and mirror like finish it is also know as mirror cote paper in india we import 80 & 75 gsm cast coated paper from renowed vendors and do adhesive coating on the same. we have self adhesive cast coated paper with various release liners from cck, sck to glassine in various grammags like 45/55/62/67/135. 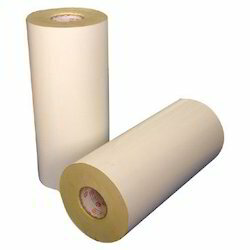 Looking for Cast Coated Self Adhesive Paper ?